Our body need fats more than you know it. We have heard for so long how fats make us fat but in reality they are a friend more than an enemy. I always have clients say but fats have so many calories or isn’t fat what makes my body fat increase? My answer to the first is yes they do have more calories ( 9kcal per gram of fat) but our bodies need calories for fueling throughout the day to keep us performing at optimal capacity. With that said because fats are more fullfilling than the other macronutrients this will help you feel fuller longer and in the end will keep you from overeating. My answer to the second is dietary fat doesn’t directly affect your body fat in that it is not metabolized the same way we metabolize carbs and protein. Fats are a precursor to hormones. They help us absorb fat soluble vitamins A,D,E,and K.
The next question I usually get is what types of fats should I be eating? The key to this is like everything else make sure you are getting a variety of choices. You don’t want to just use olive oil for everything. You want to reap the benefits from all of them. Each fat source has a different benefit for our health. The last thing to mention is each fat has a smoke point. A smoke point is a temperature at which the fat can get to when cooking with it until it starts to smoke which can then make it carcinogenic. Low Smoke Point fats: Use these to dress salads or to add to something after you have cooked it for extra flavor. Higher Smoke Point fats: Use these to cook and bake with due to their ability to withstand higher temperatures. With all of that in mind you want to make an effort to get a variety go them all throughout your food choices. An example would be for dinner: chicken cooked in avocado oil, broccoli cooked in ghee, and sweet potatoes in coconut oil. 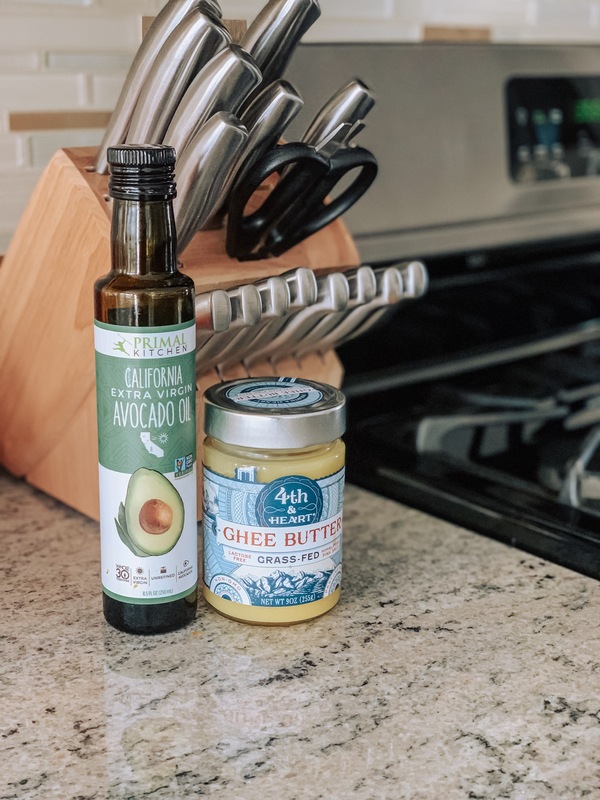 You can also get healthy fats in your diet with other foods such as avocado, nuts, seeds, nut butter, seed butter, and coconut.